1 Bedroom Upper Floor Flat For Sale in Chelmsford for Asking Price £185,000. Last Apartment Of The Design Remaining | Reduced In Price From 195,000 | City Centre Location | 4Th Floor Apartment| Restored Parquet Flooring | Last One Remaining Of This Design | No Parking Available. This Unique one bedroom apartment situated in the heart of Chelmsfords City centre, offers the convenience of a central location and the luxury often associated with a London City apartment. State of the art aluminium double glazing. 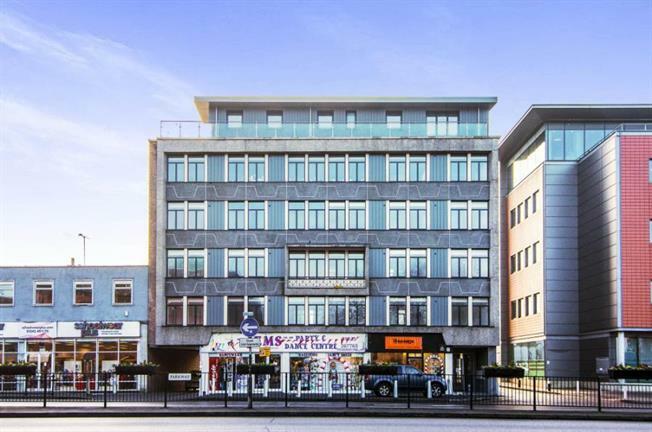 An ideal base for a first time buyer or City commuter, "Friars House" has been converted from a character office building to the highest of standards. The property has an open plan high gloss Italian Kitchen/Sitting room located at the rear of the property benefiting from being South facing, a large double bedroom with fitted wardrobes and a luxury shower room. Adding to its appeal is the reclaimed Parquet flooring throughout, and the quality finish to all aspects of the conversion.